Kids up to age 12 are invited! 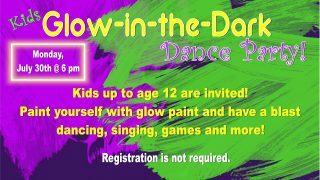 Paint yourself with glow paint and have a blast dancing, singing, playing games and more! Snacks will be available. Registration is not required.